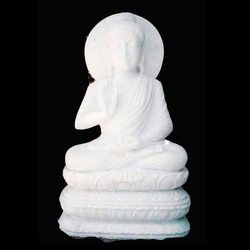 We offer a religiously inspired range of Jain and Buddha Sculptures. Our designers craft this beautiful range in quality marble and ensure that fine features of the sculpture are detailed perfectly. The range has exquisite looks and is available in varied sizes. A vast collection of Gautam Sculpture is designed and crafted by us. We use superior quality raw materials to manufacture these products. The range has a collection of very beautifully carved Gautam Buddha in the sitting position. The expert team of designers and artisans uses spirits and allied chemicals to make our products shine for longer period. This range can be availed from us at best industry prices. Our expert team of artisans is engaged in manufacturing and supplying a wide collection of Gautam Swami Sculptures. These are fabricated by making use of high grade white marble stones that are procured by our trusted vendors. This range is suitable for different places such as temples, houses, schools, educational institutes and religious fairs. The range is available in multiple sizes and styles, at industry leading prices. 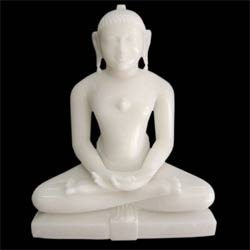 We are one of the well established manufacturers and suppliers of an extensive range of Mahaveer Ji Sculptures. This array is manufactured under the guidance of our expert craftsmen and designers, which results in crafting excellent quality products. The collection is available in different shapes and sizes, and can also be customized as per the client requirements. We offer the range to our clients at very reasonable prices. 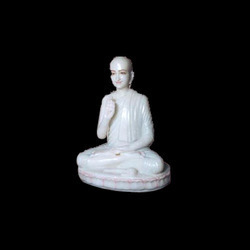 Looking for Jain And Buddha Sculptures ?